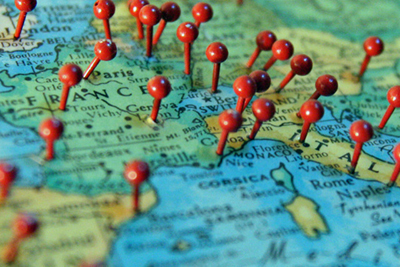 Photo: "Pushpins in a map over France and Italy" by Marc Levin is licensed under CC BY 2.0. “It’s a small world.” How many times do we hear that? I mean even Disneyland and Disneyworld have a ride named after the expression, after all. And let me apologize because I know that for the next 24-72 hours that song is going to be playing on an endless loop in your head. The globe is shrinking through communications and travel. In political science, we try to bring the world into our classrooms. As a result, many of our faculty (and some of our graduate and undergraduate students) spent the summer in far off places studying government and politics in other settings. Here is a brief snippet of what might be coming to a classroom or seminar near you. David Scott joins the faculty for the 2018-19 academic year as a lecturer. Scott returns home to UT where the earned his PhD in political science in 2013, with a focus in American politics. He taught here while he finished his degree and returns to teach the pre-law courses. In addition, he holds Juris Doctorate and Masters of Dispute Resolution degrees from Pepperdine University, and he is a licensed attorney in Tennessee. Scott served as Visiting Instructor of Political Science at Tusculum College. He has also taught as an adjunct instructor at Carson Newman University and Walters State Community College, after teaching as a graduate student at UT. Scott's teaching and research interests include American constitutional law, civil rights and liberties, the influence of interest groups on the Supreme Court via the submission of amicus curiae briefs, and political philosophy. He is the author of a number of articles in peer review journals. 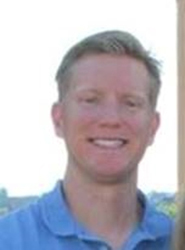 Scott resides in Greeneville, Tennessee, with his wife Natalie, his son Caleb, and his daughter Elliana. Chana Solomon-Schwartz, lecturer, looks forward to teaching courses in international relations and comparative politics this year for the Department of Political Science. Her primary research investigates why states increase their levels of commitment to human rights treaties protecting women and racial minorities. Other research interests include the pedagogy of undergraduate introduction to international politics courses and the impact that gender has on foreign policy decision-making. She earned a PhD in political science from the George Washington University and a BA in government from Harvard University. 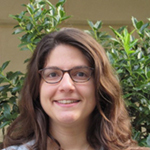 Originally from Washington, DC, Chana has studied in Jordan, Morocco, and Israel. Come find her in McClung 522 to talk about political science -- or great places to bike in Knoxville! Conferencing in a land down under, Professor Yang Zhong presented his research ("Explaining Nationalism in Urban China," co-authored with Professor Wonjae Hwang) at the 25th International Political Science Association World Congress of Political Science in Brisbane, Australia, in July. More than 2,150 scholars from 83 countries participated in the conference. Professor Zhong was also appointed as the Principal Investigator for conducting World Values Survey Wave 7 in China. The survey will be completed in fall 2018. Donald Trump was not the only one in Korea. In June, Professors Brandon Prins and Wonjae Hwang participated in a roundtable discussion at Hankuk University of Foreign Studies in Seoul, South Korea. 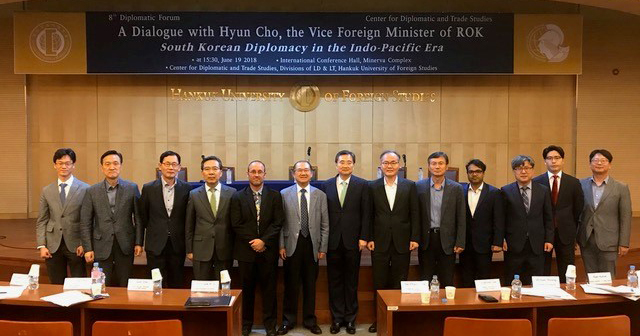 The event brought together academics from the United States and South Korea along with the South Korean Vice Foreign Minister to examine South Korea’s role in the Indo-Pacific region and strategies for containing North Korea’s nuclear program. The roundtable occurred on the heels of the Trump-Kim summit in Singapore. Despite reduced tensions between the United States and North Korea, most panelists were skeptical of North Korea’s denuclearization commitments and concerned about President Trump’s unpredictable diplomacy. In fall 2017, Professors Matt Buehler and Kyung Joon Han (in collaboration with Kristin Fabbe of Harvard University) received a $50,000 research grant from Harvard University’s Middle East Initiative at the Belfer Center for Science and International Affairs in the John F. Kennedy School of Government. The grant funded a 2,700-respondent nationally representative survey to assess rising xenophobia among citizens of the Middle East and North Africa toward sub-Saharan African and Arab (predominately Syrian and Iraqi) refugees and migrants. In summer 2018, the research team oversaw implementation of the poll in Morocco. The research team will use original public opinion data from the survey to identify the sources of rising xenophobia in the Middle East and highlight whether they derive from citizen concerns about the economy, cultural conflicts, or insecurity. Moreover, Professors Buehler and Han intend to compare their results with those from surveys in Western Europe, where most traditional studies of xenophobia were completed to see how this social phenomenon differs across different cultural contexts. Krista Wiegand was all over Europe this summer; and for good measure, she also went to Latin America. 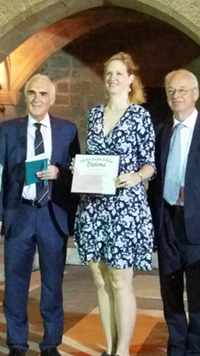 This summer, Professor Wiegand received a diploma for participating in the Rhodes Academy for Oceans Law and Policy in Rhodes, Greece, a three-week intensive training course about international maritime law taught by lawyers and judges from the International Tribunal of the Law of the Sea. She completed written and oral exams, winning the award for the highest ranking on the oral exam among a group of 50 distinguished diplomats, legal advisors, and specialists from around the world. Along the way, she participated in conferences. In Verona, Italy, (home of Romeo and Juliet) she presented a paper at the Network of European Peace Scientists conference and in Ecuador she presented a paper at the FLACSO-International Studies Association conference, which is held in an international location each year. Professor Wiegand was also one of 22 professors selected to participate in the 2018 International Policy Summer Institute, a weeklong intensive training hosted by the Bridging the Gap program at American University that trains faculty specializing in international security about making scholarly research policy and media relevant. This summer, Professor Wiegand also received a National Science Foundation grant for $239,684 with colleague Eric Keels for a two-year project to collect data on rebel grievances in civil wars. She and Professor Prins assume the editorship of prestigious journal, International Studies Quarterly, in October. Jon Ring, a lecturer in international relations and comparative politics, went to the Council of Foreign Relations College and University Educators Workshop. 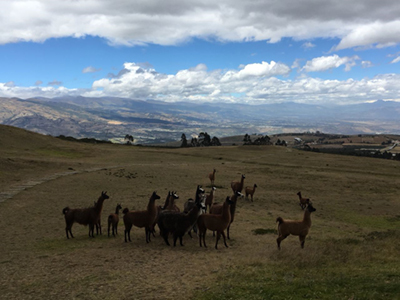 Professor Ring, like Professor Wiegand, travelled to Quito, Ecuador, for the FLACSO-ISA conference. (Were there more political science faculty members in Ecuador than in Knoxville?) Ring also finished and submitted the manuscript for his co-authored book to the publisher. Professor Jana Morgan spent the past academic year as a visiting fellow at the Russell Sage Foundation in New York City. During her time at the foundation, she worked on research exploring the ways marginalization distorts political process and outcomes. One major project examines how the disproportionate power of wealthy interests in the American political system shapes the kinds of economic issues that receive attention from Congress. As a result of these power inequalities, legislators tend to emphasize the concerns of the wealthy and often ignore the problems of the poor. Read an interview Professor Morgan gave concerning this research at the Russell Sage Foundation blog. When she was not writing, Professor Morgan also enjoyed tromping through Central Park with her daughter, hanging out in museums and art galleries, watching countless sunrises over Manhattan, and eating bagels, New York-style pizza [which is the only kind worth eating (editor’s note, Professor Morgan has apparently not been to New Haven, Connecticut)], and not quite enough arepas. After leaving New York at the end of June, Professor Morgan returned to her more usual stomping grounds in Latin America. She spent almost a month in Ecuador to do some writing for her ongoing project on the consequences of ethnoracial exclusion for Latin American democracy. She also visited some dear Ecuadorian friends and returned to some favorite spots from her days working at the United States Embassy in Quito. It was a banner year for Professor Nate Kelly. Last spring, he was the first professor in the history of UT to win the prestigious Carnegie Fellowship, which we will hear more about the results of in next year’s newsletter. Kelly has just returned to Knoxville after spending the academic year in New York City at the Russell Sage Foundation (RSF) as a visiting scholar. It was, according to Professor Kelly “the most rewarding experience I've had as a scholar and researcher since leaving graduate school.” He had the opportunity to interact with noted scholars from a variety of disciplines. Approximately 15 other leading social scientists from some of the most prestigious universities in the United States were at RSF last year, and the foundation works hard to make sure the visiting scholars have plenty of opportunities to interact. Participants presented their work at weekly colloquia. While he was at the RSF, Kelly was working on three projects. His primary goal was to complete a book manuscript called America's Inequality Trap. In the book, he argues that rising inequality in the United States has created a self-reinforcing feedback loop. Rising inequality today produces changes in politics that generate additional increases in inequality in the future. This is a pattern that has been in place for decades and helps to explain not only the steadily increasing gap between the rich and the poor over the past 40 years in the United States, but also part of our current political situation including the surprising success of Donald Trump in the 2016 election. The manuscript has received final approval from the University of Chicago Press and publication is expected in 2019. A second project that he is co-authoring with Professors Jana Morgan, Peter Enns, and Chris Witko, examines how money in politics shapes the economic agenda in Congress. This project is motivated by the observation that Congressional attention to some issues, like unemployment, is highly responsive to economic conditions. Issues like poverty and inequality, however, are basically unrelated to the objective size of the problem. The authors argue that money in politics keeps lower class issues like poverty and inequality off the economic agenda, demonstrating the legislators shift their attention to different economic issues depending on who funds their campaigns. Still another project is also co-authored with Professor Morgan. They explore what they call "Exclusionary Democracy." Exclusionary democracies have all the institutional trappings of democracy – such as free and fair elections, freedom of the press, and so on – but systematically exclude historically marginalized groups through a combination of active and passive measures. This exclusion manifests itself both politically and economically, and our project is primarily focused on analyzing how exclusionary democracy shapes democratic citizenship. Completing these projects will generate new knowledge Professor Kelly and others can utilize in the classroom in the future. Some of the faculty did not go to Ecuador and stayed put in Knoxville and completed various projects that will be coming to a bookstore near you. Professor Anthony Nownes new book, Organizing for Transgender Rights: Collective Action, Group Development and the Rise of the New Social Movement, is in press and will be published later this year by SUNY Press. 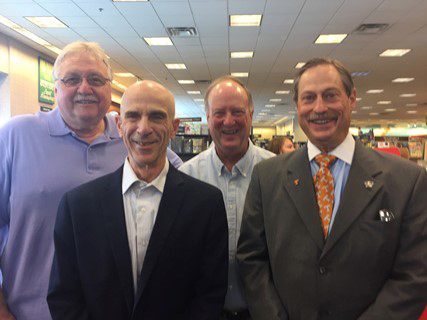 Professor John Scheb published new edition of the civil rights and liberties encyclopedia and completed work on a new edition of a book on Tennessee politics that he coauthored with (soon-to-be-doctor) Joe Jarret, Professor Emeritus Bill Lyons, and Billy Stair, former senior policy adviser.